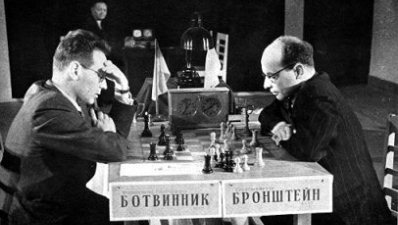 The Belarus Chess Federation is holding an International Open Tournament from 11th to 19th February to mark the 90th anniversary of David Bronstein’s birth. The former World Championship challenger, who nearly dethroned Mikhail Botvinnik in 1951, was born in 1924 in Ukraine and passed away in 2006 in Minsk. The Open A will be open for the players rated above 2100 FIDE, while the Open B will accept lower rated participants. Both sections will be completed over nine rounds of Swiss system. The playing venue will be at K.Marksa str, 10, Minsk. Top prizes in Open A (in USD – 12%tax): 10000 + cup, 6500, 4000, 2600, 1300, 650, 650 etc. There are also special prizes for women and veterans. The playing field is impressive with 62(!) Grandmasters among 111 participants. 23 countries will be represented. The prizes in Open B are USD 1000, 700, 500, 400, 300.